The ideal solution for repetitive jobs with robot requiring continued high thermal power. 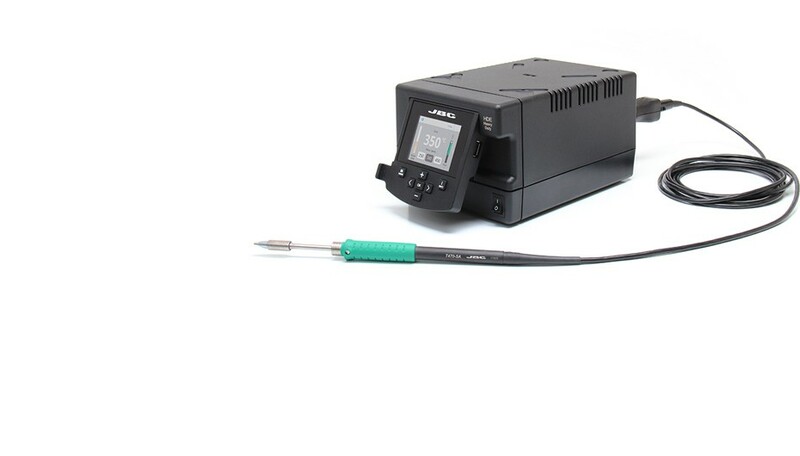 It includes the HDE Heavy Duty station which communicates with the robot through the RJ12 connector and in accordance with this Protocol. It also features the JBC exclusive heating system and the Excellence range benefits. The converter guarantees the sleep & hibernation modes without using a stand. The HDRE Robot Station includes the T470-SA Handle which suits perfectly any robotic system thanks to its 3m cable and the screw to prevent the cartridge rotation. It works with C470 Cartridges. Cartridges not included.